Volvo says that buying an XC40 (shown) with the Care by Volvo subscription service will make having a car as easy and hassle free as having a phone. Volvo seems to have found a new way to get its vehicles into the hands of customers that is digital, transparent and hassle free. It's also not likely to cause a dealer rebellion. The automaker's new Care by Volvo is described as a subscription service. The offer mirrors what mobile phone companies do to win customers in a highly competitive market. Some of the perks of Care by Volvo are a monthly fee that is the same throughout Europe, no down payment, the freedom to get a new car every 24 months and access to a suite of VIP-level services. The company unveiled Care by Volvo in September with the launch of its new XC40 compact SUV. The 699-euro subscription fee for the XC40 includes insurance, taxes, maintenance and winter tires. Offered in seven European markets -- Germany, the UK, Italy, Spain, Sweden, Norway and Poland – where vehicle deliveries will begin in late February, Care by Volvo will also be extended to the U.S., where a monthly rate is scheduled to be announced later this month. With Care by Volvo, the customer doesn't need to go to a dealership because the vehicle can be configured and ordered online. The dealership, however, will still play a key role because it will deliver the new car to the customer's home or office. Another time when the dealer will have a chance to interact with the customer is during standard maintenance visits, which are covered during the 24-month subscription. The dealer will call the customer to set up a time to pick up and return the car. The big issue for Volvo – and for all automakers competing in Europe – is that customers typically abandon their dealer network once the mandatory 24-month warranty expires. To defend against this, the Care by Volvo plan will offer customers the chance to retain the vehicle for another two years at a lower monthly subscription rate. If the car is returned to Volvo, it could enter a variant of the program tentatively dubbed Care by Volvo Silver, which will include used cars between 2 and 6 years old. 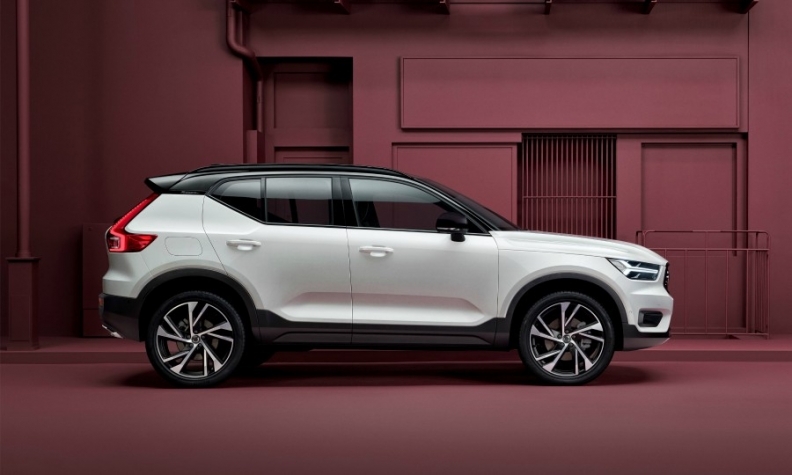 Because the average time that an XC40 is expected to be in the Care by Volvo program is six years, and because service will continue to be included as part of the scheme, the dealer will have many more years to build up a relationship with the customer. This can only help the dealer's after sales business. Volvo is bullish but realistic about Care by Volvo's potential. "On average, we sell 30 percent of our cars to private customers in Europe and over time we expect that two-thirds of our private customers could switch to this subscription service," Thomas Andersson, vice president Care by Volvo, told Automotive News Europe. He said the automaker is also working on a variant of the service tailored to its largest customer in Europe: company fleets. Volvo CEO Hakan Samuelsson foresees Care by Volvo being expanded from the XC40 to all of the automaker's vehicles. "Talking with customers, we hear they find Care by Volvo attractive, they like its transparency," Samuelsson told ANE. Volvo faces one hurdle -- many people have trouble grasping the difference between the Care by Volvo subscription and a personal lease. That has become a sore spot with Samuelsson, who loses his usual calm, soft-spoken demeanor when he hears Care by Volvo referred to as a personal lease. "It is not a lease, it is a subscription," he roars back – but with a smile.